This dual beam transom mount transducer replaces the one included with your echo™ series fishfinder. 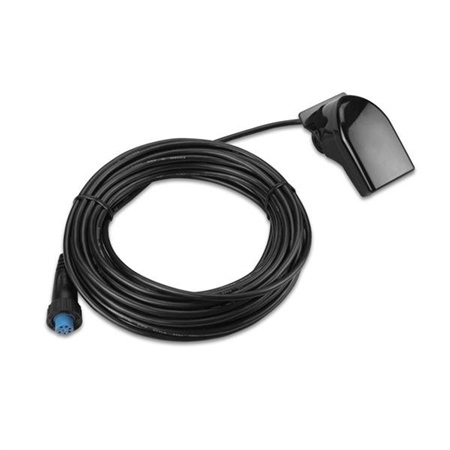 A 500 W 8-pin transducer, it has an operating frequency of 77/200 kHz; a beamwidth of 45/15 degrees; and mounts on a 0 to 70 degree transom. Transducer kit comes with installation instructions. Follow the instructions carefully to avoid damaging your boat. Compatible with Garmin echoMAP 50s and 70s units.